Spectacular Loft recently decorated with great taste located just beside the Patio Bullrich Mall . 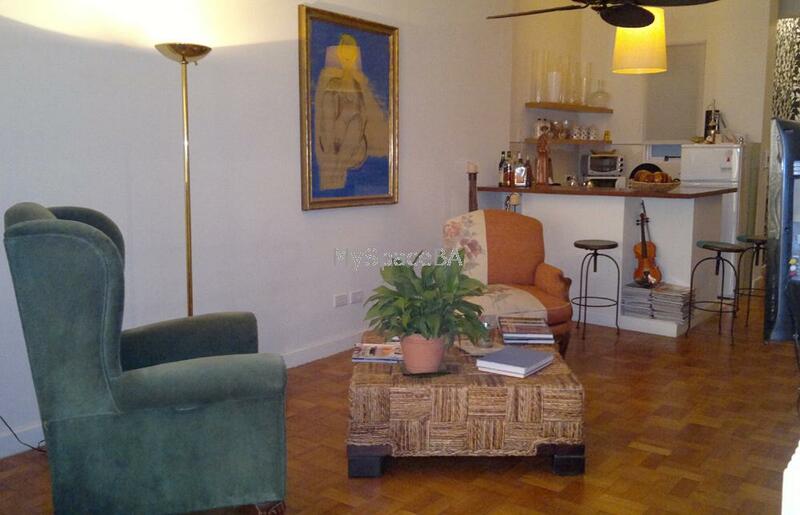 This large apartment offers a dining area with table and chairs , kitchen fully equipped . Living area with comfortable armchairs . LCD TV with cable . Internet Wi Fi . Bedroom area with double bed . Aircon cold / warm. Guest toilette and bathroom with shower. Original Hardwood floor . Full of natural light . Balcony . Window with double glazing. Aircon cold / warm . Internet . Wi Fi . LCD . Cable TV . Landline telephone . Bathroom with shower. Guest toilette . Hair dryer . Kitchen with refrigerator . Microwave , toaster, coffee-machine . Gas cooker . Dishes . Washing machine . Very good building with elevators .